So there we are another year. Older, wiser & richer? – Well, at least one of those is true. It has been a pretty good year. The Ironbath has travelled the equivalent of around the globe in search of music. He has seen something like 200 sets by some of the hottest new acts (John Fullbright, Milk Carton Kids, Shovels & Rope) and some of the legends (Richard Thompson, Rosanne Cash, Rodney Crowell). Whichever way you look things are brighter. Not necessarily bright, but getting brighter. This is still an austerity Christmas, though, so the Ironbath’s selection for his annual anti-Christmas fest are suitably sparse. Plenty of classic Christmas songs have been recycled with a sombre twist – Heck, Liz Longley has even recycled a couple within her own composition! This is a reflective compilation that looks back on the Christmas that we all remember when we were young. We look back with more confidence than we look forward. This is best summed up by Rosabella Gregory’s beautiful song ‘Hello Christmas’. 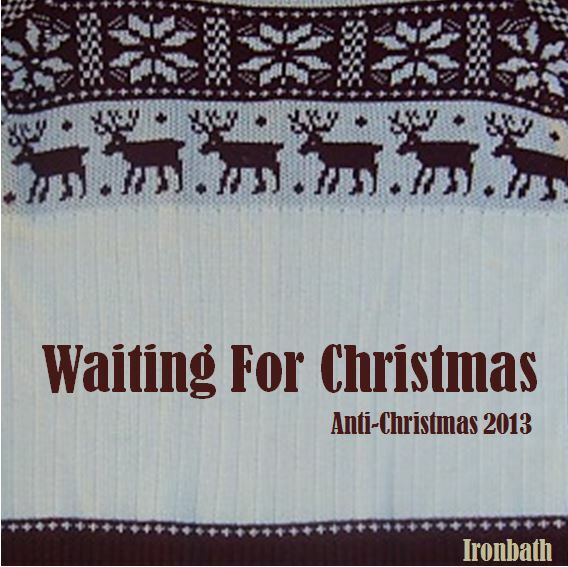 Last Christmas the Ironbath heard the Goodnight Lenin track on late night radio and was awe struck by it. The two songs by the Choir Of Angels featuring Rumer & Kristina Train, along with the amazing cover by Amy Macdonald were recorded specially for the radio and are far too good to not feature on a more permanent medium. Every year the compilation must include a version of River. The Ironbath had four covers that could have been featured, and chose the simple Rachael Yamagata piano version. So until next year, whatever that year might hold, have a merry Christmas and try to stay safe. The full track listing is below, and you can download a Zip of the compilation & cover art at the bottom. (With apologies to any musicians who would rather that their songs didn’t feature here – Please contact me to have them removed). Compilations from previous years are also available. 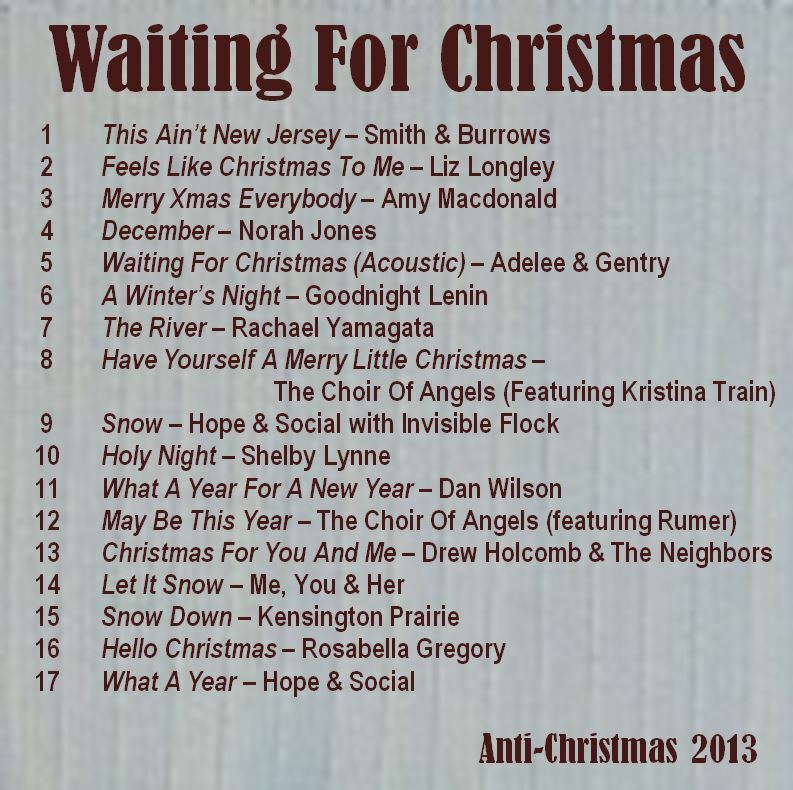 This entry was posted in Adelee & Gentry, Amy Macdonald, Anti-Christmas, Choir Of Angels, Christmas Music, Dan Wilson, Drew Holcomb & The Neighbors, Emmylou Harris, Goodnight Lenin, Hope & Social, Invisible Flock, John Fullbright, Kensington Prairie, Kristina Train, Liz Longley, Milk Carton Kids, Norah Jones, Rachael Yamagata, Richard Thompson, Rodney Crowell, Rosabella Gregory, Rosanne Cash, Rumer, Shelby Lynne, Shovels & Rope, Smith & Burrows, You & Her. Bookmark the permalink. A few of us do too read your blog. Great collection, IB. Rachel Yamagata’s version of The River has been a favorite for years. I have to recommend Decembersongs for next year’s compilation. Rod Picott’s “Dad’s Drunk Again On Christmas” and the Wild Ponie’s “I Won’t Be Home for Christmas” will fit in perfectly with your anti-Christmas theme!